Is it time to dump the diet mentality? skipping the gym for weeks, losing or gaining weight. Guilt and shame often lead to more eating and less exercise. It’s not a healthy way to live – for the body or soul. A less exhausting way to a healthier, leaner body is to add lifestyle changes that help make sensible eating and moderate exercise a daily habit. Fill up on veggies and fruits. 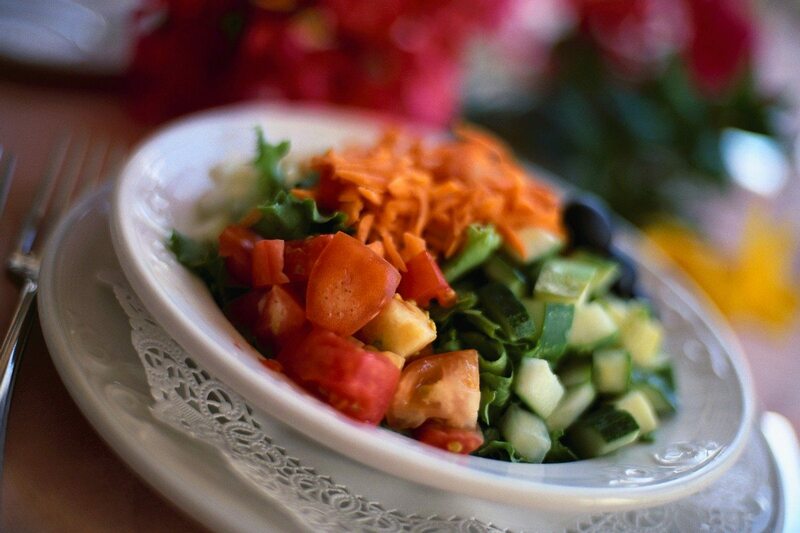 Make it a habit to fill half your plate with fruits and vegetables for better nutrition and filling fiber. This simple trick can help you cut way down on main-dish portion sizes. Cut the fat. Switch to fat-free or low-fat milk and eat a variety of lean proteins such as beans, seafood and soy – not just meat. Sprinkle less sugar and salt. Drink water instead of sugary drinks. Compare sodium numbers in prepared foods and pick the lower-sodium choice. Choose whole grains. Make half your grains whole grains, like brown rice or whole wheat bread, for more fiber and better overall nutrition. you to look back and see what you were doing when you lost or gained weight. Find help online. The government has a free group of web-based tools called SuperTracker that can help with everything from setting goals to tracking calories and exercise and creating personal progress reports. Fit in exercise daily. It doesn’t have to be the gym: take the stairs, take the dog for a long walk, vacuum the whole house, dance to your favorite tunes. The more you move, the better for your body, and any type of exercise helps burn off surplus calories. Have an occasional treat. A small splurge can ward off feelings of deprivation and help you stick to your healthy lifestyle. Forgive yourself. If you end up overindulging – like at a barbecue or a large holiday dinner – move on! End the all-or-nothing thinking. Get back on track as soon as you can. Uncle Wally’s has wholesome products to help you eat sensibly every day. Our new Low Fat Muffins are a good source of filling fiber and protein. Uncle Wally’s Fiber One Wraps each give you 7 grams of fiber; they’re great way to wrap almost any tasty, healthy food into a great meal. Our Rich & Moist Mini Muffins are small, tasty treats that satisfy you without blowing your healthy eating plan.